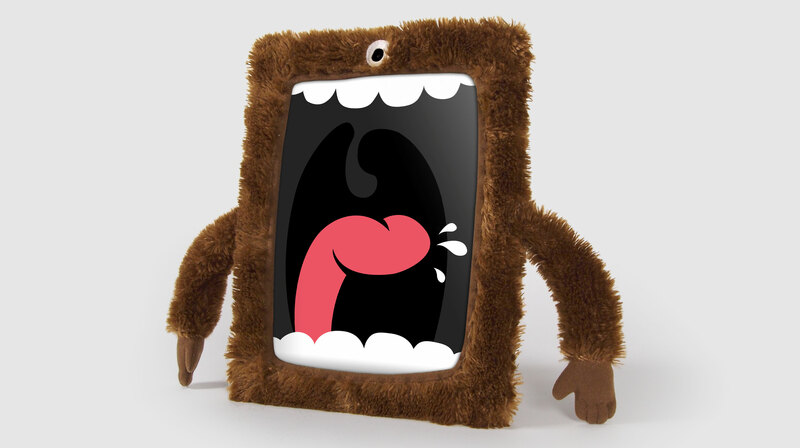 Cyclops turns your iPad into a terrifying and huggable monster. Use our mouth image as wallpaper, or make your own! His hands are made of microfiber to clean your iPad screen, and he’s padded on the back for extra protection. Works with all full-size iPads. Download background images directly to your iPad from here.